Describe this pie in one word: pie. Haha! The word says it all. IMHO (in my humble opinion), it’s not apple season until you’ve gone apple picking and made an apple pie. True to myself, I’ve taken an iconic North American dessert and veganized it. 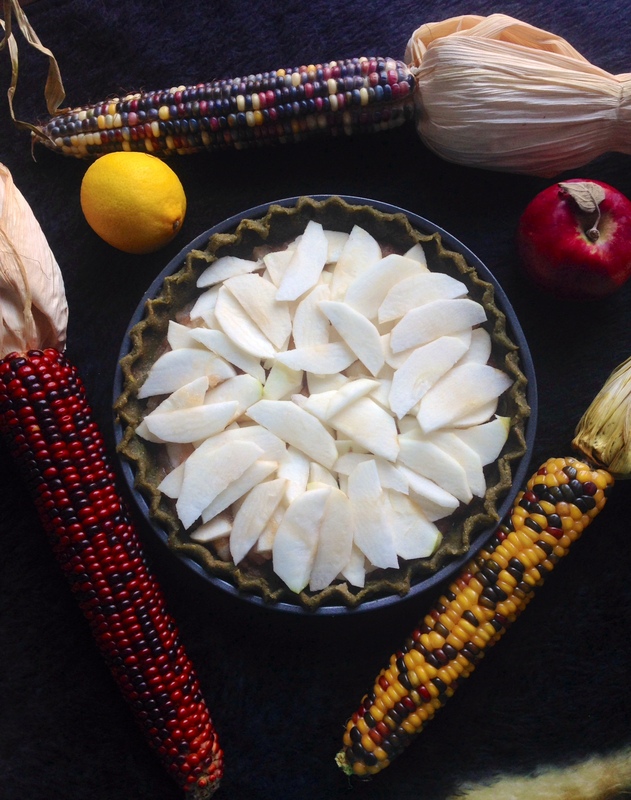 The looks of this pie are striking and unique and ingesting a piece of this pie is like hitting the nutritional jackpot, relatively speaking of course. The perks of this pie? Minimal added sugar, vitamins C and K, antioxidants, fiber, heart-healthy benefits, folate, and the list goes on. The fact that there is little added sugar contained makes it such that this pie tastes like nothing more than apples cooked in cinnamon and wrapped in a doughy blanket, not pieces of candy. 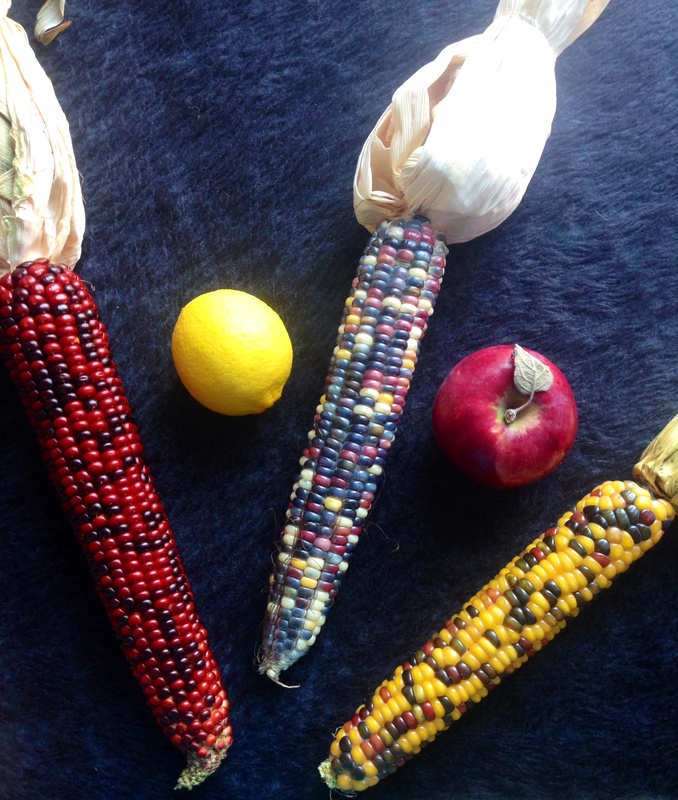 The taste is comfortingly familiar, all while being pleasantly and surprisingly different. At the local farmer’s market, I inquired about which apples were best for making pies, as I had zero clue (#failingatbeingamarthastewart). The woman explained that Cortland apples, which are a type of heirloom apple, were best as they were juicy, slightly tart and had a sweet vinous flavour without being overwhelmingly sweet and are just downright terrific for baking purposes. Cheery-looking seasonal and local Quebec apples, ready to go! To make the pastry, steam the spinach leaves. Once soft, run under cold water, squeeze excess water out of greens. Add to food processor and blend until pureed. Add flour, coconut oil, flax seeds, water, lemon zest to the (powerful) blender or food processor. Add a tiny amount of water if necessary, making sure the dough doesn’t get too wet. Shape the dough into a flat circle, cover in cling wrap and refrigerate for half an hour or more. Toss the sliced apples with lemon juice and add the sugar and water to a pan and cook until apples are lightly softened. 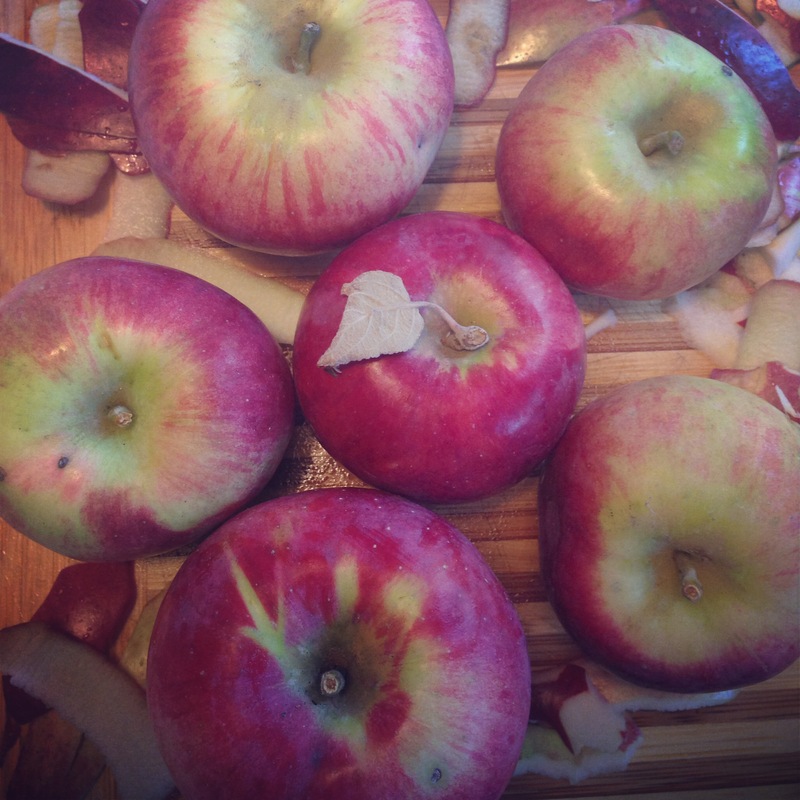 Do not overcook the apples or they will turn to applesauce and you will have yourself an applesauce pie. Whoops! 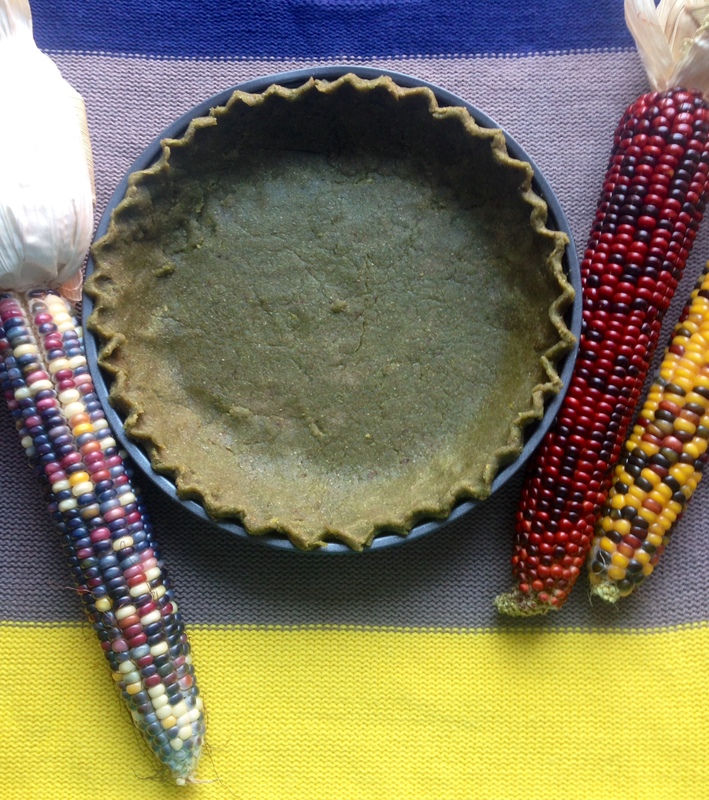 Grease your pie pan with coconut oil (or Earth Balance) and add 2/3 of the rolled out pie dough. I personally like to crimp the edges to yield a scalloped edge for the crust. Add the sweet apple mix to the pie crust. Roll out the remaining 1/3 of the pie dough, slice it into long strips and use it to form the weave. This pie is to Charlotte’s Web as the traditional apple pie is to the American Pie movie; simply put, this pie is way wholesomer ( 🙂 ) than traditional pie and that silly movie. 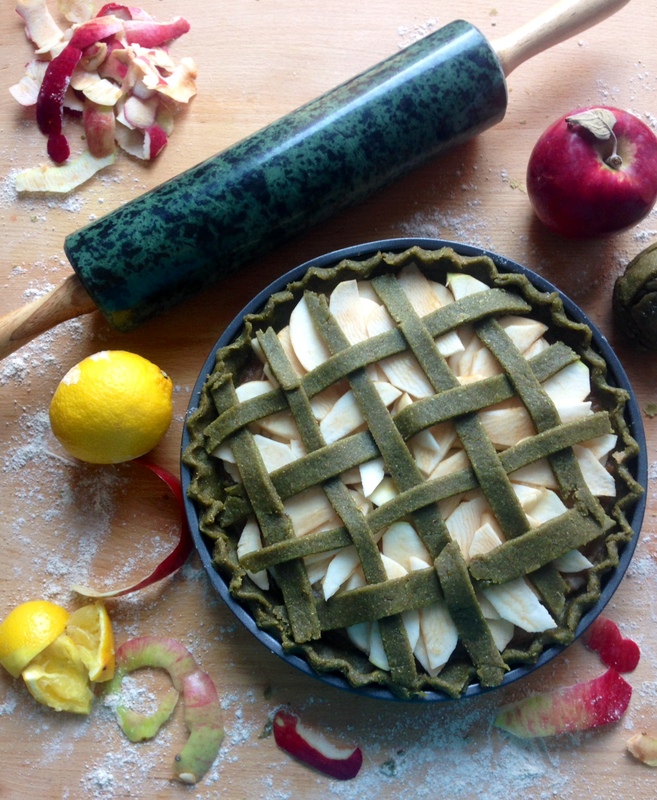 Obviously we need to top that irresistible apple cinnamon goodness with a spinach and lemon zest weave. 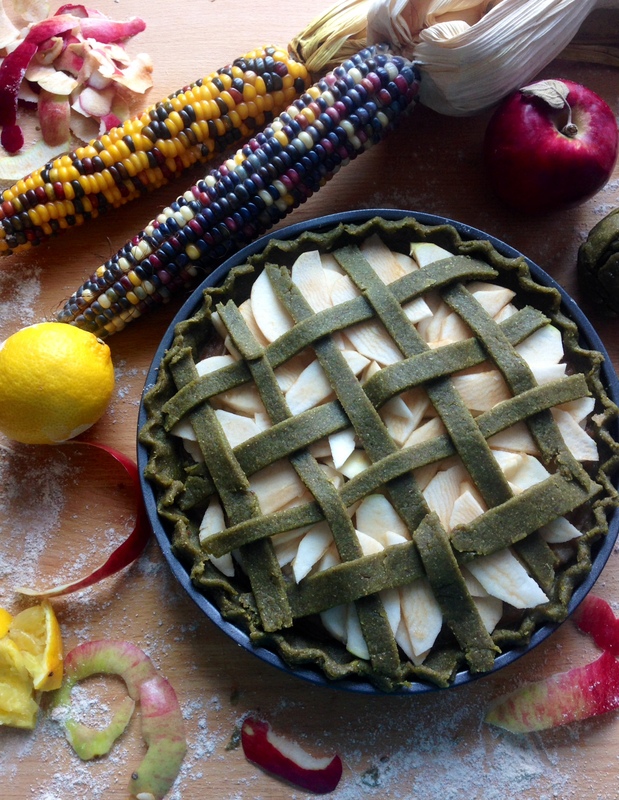 Have you ever seen such an attractive green pie crust? What a sweet finish to any meal. The pie takes more than an ounce of patience to prepare but it is well worth it when you see people devouring it with huge grins. I hope this tart soon becomes one of your favourites.